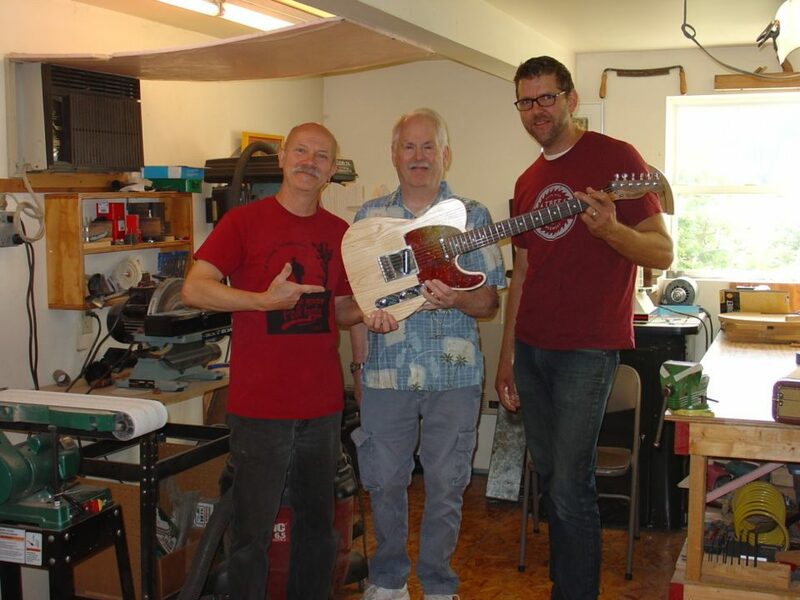 Tim Brudnicki, Gordy Bischoff, and Richard Kelly–winner of the Bischoff Guitar made with urban wood by WUW partner, Tim Brudnicki and Gordy Bischoff. – The guitar was built using urban wood from the city of Eau Claire by Eau Claire Guitar Works. – Eau Claire Guitar Works is a collaboration between Gordy Bischoff (a master acoustic guitar builder for 40 years) and Tim Brudnicki! Let the music play on! And congratulations, Richard!